Take pride in your nation by celebrating your citizenship with this striking patriotic t-shirt. 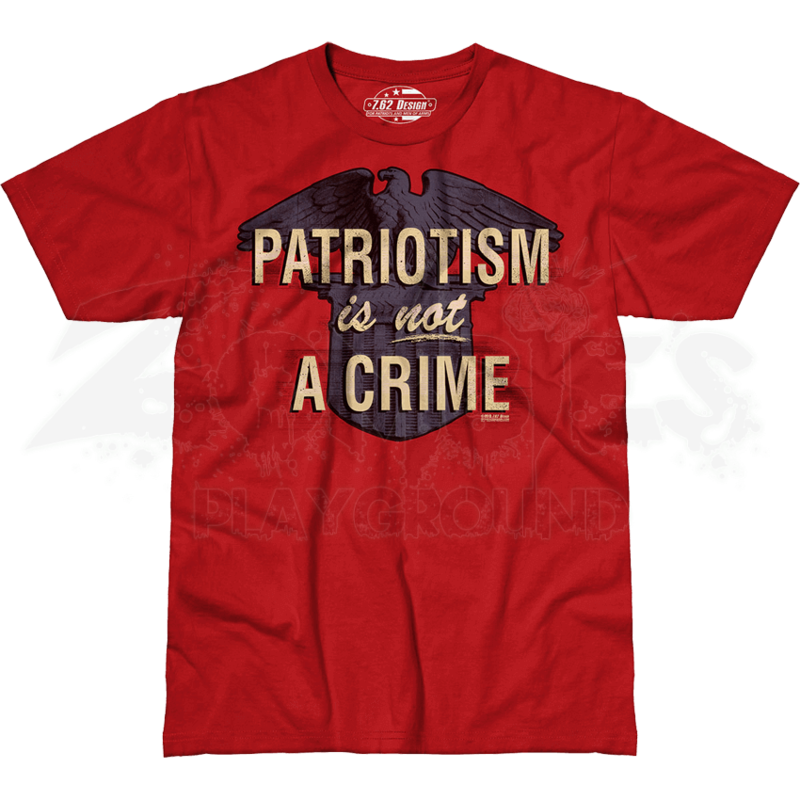 The Patriotism Is Not A Crime Premium T-Shirt offers an important reminder to not take for granted the freedoms that our country offers. 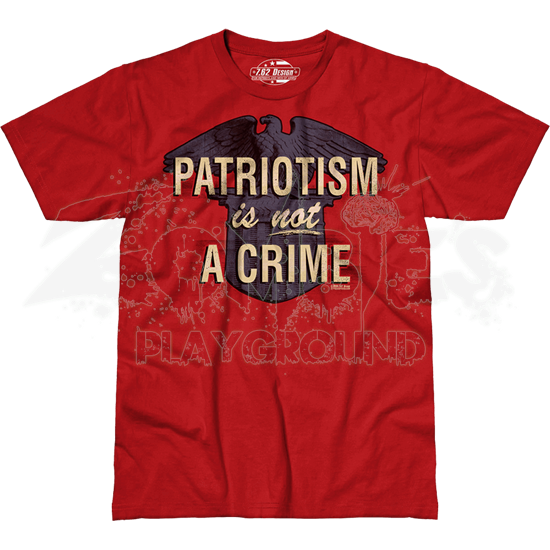 The vibrant crimson heather color acts a bold backdrop for the graphic, which displays a deep blue patriotic eagle perched atop a shield, the words PATRIOTISM IS NOT A CRIME printed across it. Crafted from a cotton-polyester blend, this red, white, and blue shirt offers incredible comfort, making it a great choice for daily wear. Now you can be outspoken about your patriotic fervor without ever saying a word, thanks the eye-catching design of this American t-shirt.